Vija Celmins, who also makes extraordinary prints and drawings of the night sky, oceans and spiders’ webs which I’m sure I’ll write about at some point, has taken the idea of the copy to an almost neurotic extreme. 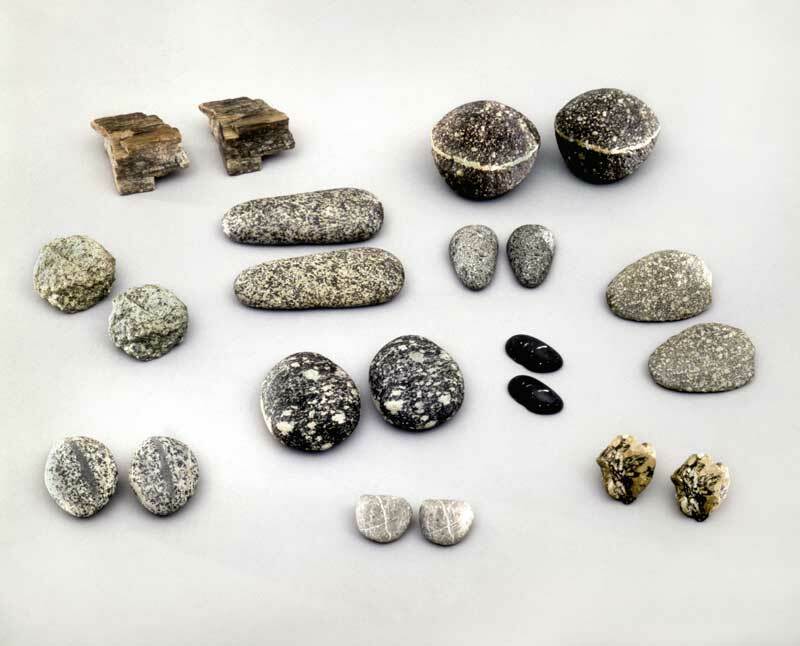 To Fix the Image in Memory is a collection of stones each with its own identical twin in the form of a painted bronze copy. Displayed together it’s difficult – okay, pretty much impossible – to tell which is which. 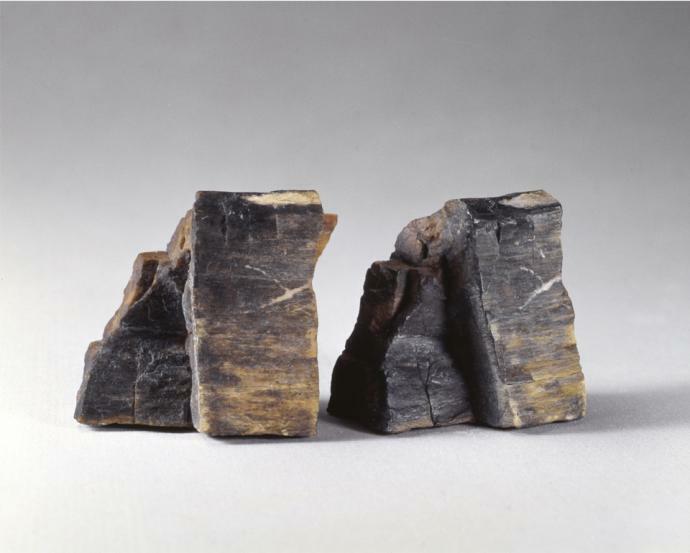 What fascinates me about this work is partly the extraordinary accuracy of the copies – there is, after all, always something compelling about that level of craft skill – but more than that it’s about the way the work makes me spend time studying something as ordinary as a stone in such depth. I could – and indeed do, when fortunate enough to see them in real life – stare at these works for a very long time. Go on, click on the image and see if you can tell which is which. I don’t think I can. 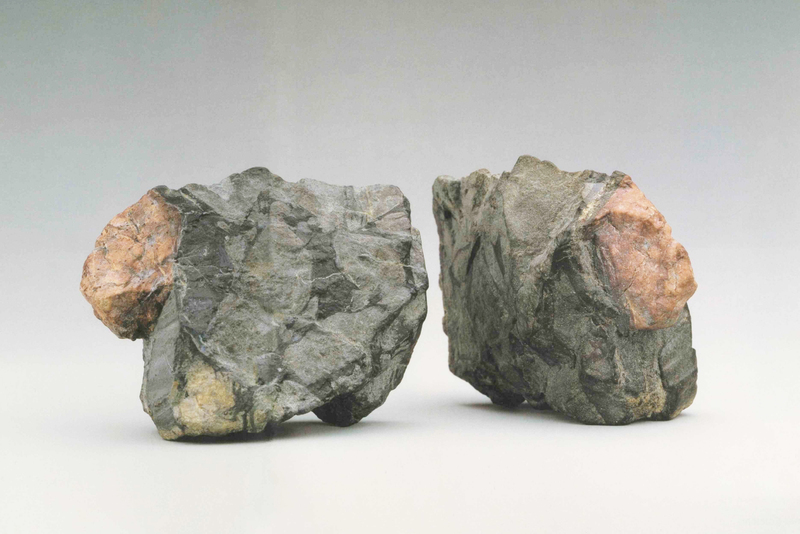 This entry was posted in Sculpture and tagged art, bronze, sculpture, stones, To Fix the Image in Memory, Vija Celmins by Ann Jones. Bookmark the permalink.